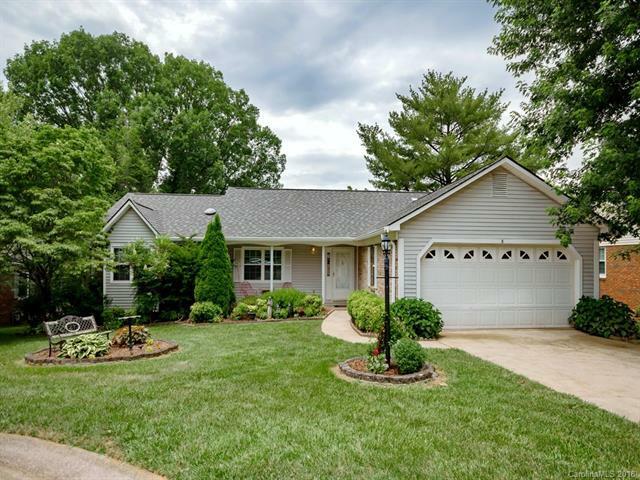 5 Park Ridge Court, Asheville, NC 28803 (#3405784) :: Robert Greene Real Estate, Inc. This charming home is ready for a buyer and their vision. It is in wonderful condition, but needs some updates throughout. The heated and cooled sun room overlooks a beautifully landscaped yard. Sitting on the front porch gives a lovely view of close mountains, and lends itself to chatting with the neighbors. The lower level can be just about anything a buyers wants it to be. All carpeted and quite open and has a half bath and a workshop area. There is a door to the back patio and yard. The furnace, hot water heater and roof are all fairly new. There is a new heating/cooling unit installed in sun room, and new storm door coming downstairs.